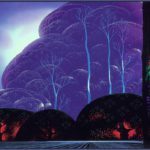 The Walt Disney Family Museum has announced that their next temporary exhibit will be Awaking Beauty: The Art of Eyvind Earle. On view from May 18, 2017 to January 8, 2018, this original retrospective showcases the life and work of Eyvind Earle. 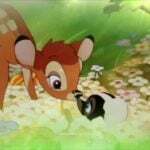 Earle is best known as the lead stylist for Walt Disney’s classic feature Sleeping Beauty (1959) and for concept art that shaped such enduring favorites as Lady and the Tramp (1955) and Peter Pan (1953). Reflecting on his time at The Walt Disney Studios, Earle once said, “I consider my six or seven years at Disney the greatest art school in the whole world, because I worked hard and fast with the very, very best men in the industry.” Beyond his work at The Studios, Earle’s distinctive interpretation of iconic American landscapes as a fine artist and printmaker continues to impact and inspire generations of artists and designers. Co-curated by Ioan Szasz, CEO of Eyvind Earle Publishing, and Michael Labrie, Director of Collections and Exhibitions for the Walt Disney Family Foundation and The Walt Disney Family Museum, the artist’s first-ever comprehensive museum retrospective will feature more than 250 works, including intricate thumbnail concept paintings for Lady and the Tramp and evocative large-scale concept artworks for Sleeping Beauty. 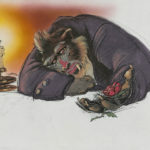 Alongside Earle’s work for The Walt Disney Studios is an extensive showcase of his fine art, including elaborate and lush landscapes, unique scratchboards, rare examples of sculpture, companion poetry, and commercial illustrations. 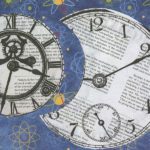 In addition to signature landscapes and enchanting illustrations that are characteristic of Earle’s style, the exhibition will feature his limited edition serigraphs and lesser-known pieces, including cartoon drawings from his time in the U.S. Navy and commercial advertisements for American brands. A special component of the exhibition is Earle’s own treadle-powered printing press on which he created some of his collectible holiday cards. In conjunction with the exhibition, the Walt Disney Family Foundation Press will publish a fully illustrated 176-page catalogue. This lavish art book will showcase an unprecedented collection of artworks spanning Earle’s entire life as an artist—from his early sketches and watercolors to the ethereal oil paintings of his later career. Of the catalogue’s more than 250 pieces, 80 date from Earle’s time at The Walt Disney Studios; they include concept paintings for Sleeping Beauty (1959), Lady and the Tramp (1955), Academy Award–winning short Toot, Whistle, Plunk and Bloom (1953), and more. The catalogue is available for purchase at The Walt Disney Family Museum Store. 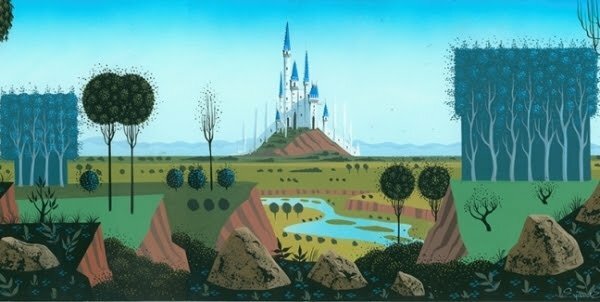 This special exhibition follows Eyvind Earle: An Exhibit of a Disney Legend which was on view at Forest Lawn Museum in Los Angeles from May 20, 2016 to January 1, 2017. This new exhibition adds additional works to fully represent the evolution of the artist’s style and to provide a complete retrospective of his life’s work. Awaking Beauty: The Art of Eyvind Earle is organized by The Walt Disney Family Museum and is presented in the Diane Disney Miller Exhibition Hall from May 18, 2017 to January 8, 2018.